VANCOUVER - The Mounties have issued a sweeping denial in a high-profile sexual harassment suit by a British Columbia officer, whose allegations have prompted other women to come forward with their own claims of abuse. Cpl. 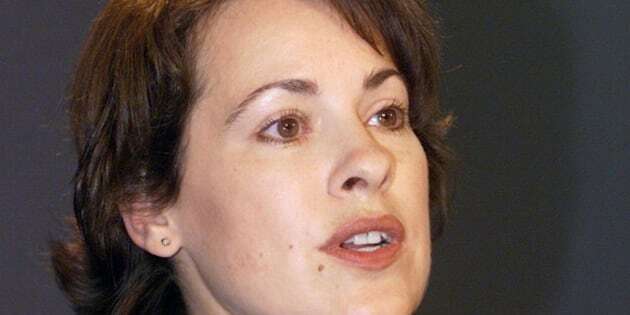 Catherine Galliford, a police spokeswoman who was the force's public face during the Air India and Robert Pickton cases, first outlined her allegations in media interviews last year. She filed a lawsuit this past May. Her allegations have prompted the RCMP to promise to tackle harassment within the force. In the months since, several other female Mounties have filed cases of their own, including one who says dozens of other officers are prepared to join her in a class-action lawsuit. Galliford's allegations span nearly two decades, during which she claims her colleagues and superiors sexually assaulted, harassed and intimidated her until she developed post-traumatic stress. She claimed she didn't come forward because she feared retribution. But the federal government, which represents the RCMP, filed a statement of defence this week denying all of Galliford's allegations. Instead, the government paints her as an alcoholic who refused treatment and rejected the RCMP's efforts to keep her away from one of the men she alleged harassed her. When she finally complained in 2011, her allegations were immediately investigated, says the statement of defence. "These defendants deny each and every allegation contained in ... the notice of civil claim," says the statement of defence. "If the plaintiff had concerns about conflict, harassment or intimidation in the workplace or by other members or officers at any time, she was obliged and had opportunities to make a complaint." The B.C. government contracts the Mounties for provincial policing and is also named in Galliford's lawsuit. While the statement of defence indicates it was filed by both the federal and B.C. governments, the province issued a statement stressing it was not directly involved in the case and had no part in drafting the statement of defence. Galliford's suit also names Const. Marvin Wawia, Supt. Mike Bergerman and Insp. Doug Henderson; Dr. Ian MacDonald, an RCMP-employed physician; and Const. Phil Little, who worked for the Vancouver police but was part of the joint RCMP-Vancouver missing women investigation. The statement of defence denies all of the allegations involving those officers, with the exception of Wawia, who was the subject of a complaint in the early 1990s shortly after Galliford joined the force. The two met while Galliford was preparing to join the force. Galliford's lawsuit claims Wawia aggressively pursued her after they met. The governments' statement of defence says the pair were "co-habitating" from December 1990 to March 1991. The Mounties acknowledge Wawia was later disciplined after a complaint involving Galliford, though the statement of defence doesn't say what the complaint was about. The statement says after Galliford finished her training, she repeatedly requested to be posted to the RCMP's B.C. headquarters, despite the force's concerns the two officers should not be working together. Eventually, Galliford married another officer stationed in British Columbia and she was transferred to North Vancouver. The statement of defence says health-care staff within the force first heard concerns about Galliford's alcohol consumption in late 2004 and early 2005. She was referred to a treatment program and agreed to what's known as a "relapse prevention agreement," but the statement of defence says she continued to drink. Because of Galliford's refusal to participate in treatment, her case became a disciplinary one, the statement says. "The plaintiff has failed to follow medical advice in respect to treatment, and in this way caused or contributed to any medical conditions or problems she had or now has," the statement says. The government denies Galliford's claim that a medical report provided to an RCMP doctor diagnosed her with post-traumatic stress. Rather, the report merely asked whether she had the condition, the statement says. None of the allegations contained in either Galliford's lawsuit or the government's statement of defence have been tested in court. Galliford's lawyer could not be reached for comment. B.C. 's justice minister and attorney general, Shirley Bond, issued a statement distancing the province from the lawsuit. "While I am aware that a statement of defence has been filed in BC Supreme Court regarding the civil action of Ms. Galliford, the province is not directly involved in this matter," Bond said in her statement. "Per legal procedure under the Police Act, the province is named as defendant and these litigation matters are solely led by the federal Department of Justice." Since Galliford went public, several more women have similar filed lawsuits targeting the RCMP and its officers. Const. Susan Gastaldo filed a lawsuit alleging she was sexually assaulted by Staff Sgt. Travis Pearson, who maintains the pair was involved in a consensual affair. An internal disciplinary board accepted Pearson's version of events, but Gastaldo is still pursuing her lawsuit. Const. Karen Katz has filed two lawsuits. One alleges a colleagues harassed and sexually assaulted her. Her second lawsuit, filed earlier this month, alleges more widespread abuse during her career. Cpl. Elisabeth Mary Couture filed a lawsuit last December, alleging harassment and intimidation from her superiors and colleagues. And Janet Merlo, a 19-year veteran of the force, filed a class-action lawsuit in March alleging sexist comments, sexual pranks and derogatory remarks while on the job. Her lawyer has suggested dozens of other officers are prepared to join the case.